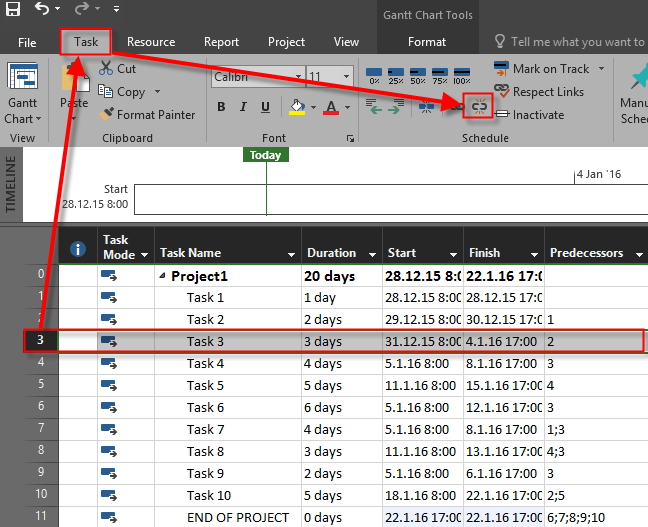 ← Manually Scheduled Tasks and Resource Calendar in MS PROJECT 2016! for the last post in this year I choose to show you a very simple Trick. What if you have one Task with multiple Tasks dependencies, and, for some reason you want to remove those dependencies in one step. How to remove those dependencies in Microsoft Project 2016? As you can see, Task 4,6,7,8 and 9 are not dependent on Task 3 any more. Easy and effective, isn’t it. Dear readers, thank you very much for you participation, questions and suggestions. I wish you all the best in New Year! 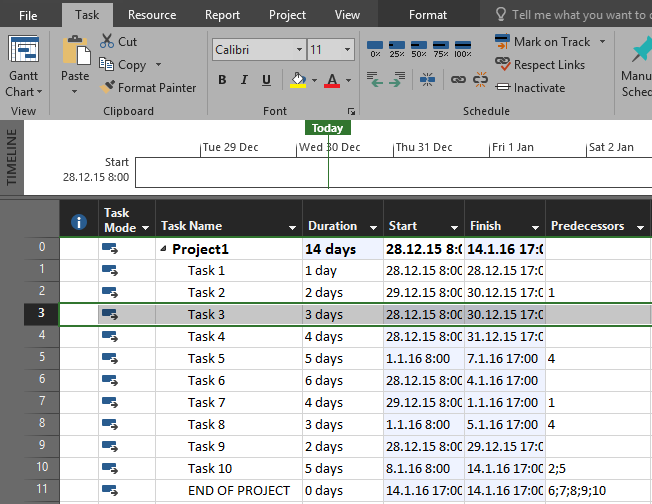 This entry was posted in MICROSOFT PROJECT, Microsoft PRoject 2010, Microsoft Project 2013, MS PROJECT 2010, MS PROJECT 2016, PMI, PRoject Management and tagged Microsoft Project 2016, MS PROJECT 2016, MS PROJECT 2016 - Dependencies. Bookmark the permalink.